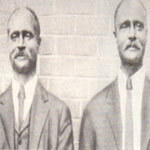 In 1896 God gave Jesse and Jacob Robinson the vision to establish and begin to lay the foundations for Mount Emmanuel Missionary Baptist Church. Since 1896 Mount Emmanuel Missionary Baptist Church has been graced with twenty-one prominent pastors who have made their mark on the progress and growth of this great church. Rev. Jesse and Jacob Robinson held prayer services in the Olice and Steven's houses as they gathered the faithful in the community. In later years the worship services moved to Joy Land an old section of the Greenline- Spartanburg street community. In 1911 through the leadership of the Robinson brothers and church leaders such as Turner Baxter, William Love and Oliver Stone the church purchased property from the Shockley family for $90.00 to build a one room structure where the present day church stands. After the great leadership of the Robinson brothers, Pastor Dan Moore took over as pastor followed by Rev. Samuel Robinson, no relation to the Robinson brothers. During Robinson's tenure, the church established its first Deacons Ministry and over the years, guest preachers served the faithful members of Mount Emmanuel Baptist Church. These guest preachers were Rev. McGee, and Rev. Earl, Rev. 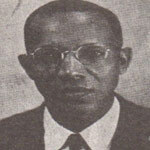 Lomax, Rev. Cheeks, Rev. G.W. Goodman, Rev. CC Bowling, Rev. Cook, Rev. J.O. Gordon, and Rev. B.J. Leggins. There is no record of their length of service. In 1924 a new church was rebuilt under the leadership of Pastor F. Wright. The officers were W.M Love, F.W. Wydell, W.M. Edwards, L.E. Brown, T.B. Baker. In 1932 -1941 Rev. Samuel Kay served as pastor and during this time the church experienced substantial growth, adding traditional families like the Brockmans, Irbys, and the Dogan's who continued to grow since the church's establishment. Rev. 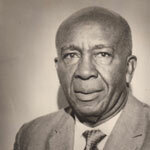 Herbert Hubert served as pastor from 1941- 1943 keeping the church growing and prominent in the Greenville Community. In 1943, Rev. R.L. Cunningham became the pastor, and during his tenure plans were drawn to build a larger building to accommodate the growing membership. The challenge for Rev. Cunningham was to convince the members to worship in the closed down Joy Land night club while the church was being demolished and rebuilt. But with strong leaders like James Acker, Auther Black, J.W. Henderson, David Makins, and John Moore the church was built. Under Rev. Cunningham, Mount Emmanuel produced more sons of the church like Rev. J.W. Henderson, Rev. 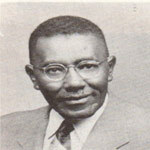 James Earl, Rev. W.B. McMahand, and Rev. A.B. Brown. Each of these ministers went on to pastor churches in the Greenville community. In 1963 Rev. C.E. Butler was selected the 18th pastor of mount Emmanuel Baptist Church with assistants Rev. I.L. Robinson and a young Rev. David L. Hellams. The church continued to grow under Rev. Butler's leadership. The church added another son of the church, Rev. 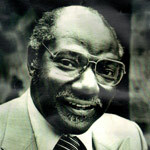 Odell Robinson who moved on to serve as a distinguished pastor in the Greenville community. In 1969 Rev. 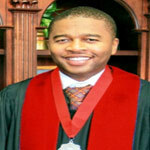 David L. Hellams became the 19th pastor of Mount Emmanuel Missionary Baptist Church. During his tenure Mount Missionary Emmanuel Baptist Church experienced the most significant growth in modern day ministry. The church grew both physically and spiritually, Rev. Hellams was truly dedicated to being a community pastor, with the vision that lead to the foundation of a community church. Pastor Hellams established the first community day care center at the church, facilitated a free health clinic, set up feeding programs through the community food bank to feed the poor and hungry. Pastor Hellams worked with the city of Greenville, Mayor Heller, and Senator Hollings to secure funding for improved streets and new sidewalks along with the building of a community center that bares his name. In 1978 Pastor, Hellams leadership led to the addition of a new educational building and fellowship hall. Pastor Hellam's leadership led to Mount Emmanuel Baptist church growing to one of the largest churches in the city of Greenville with as many as 700 members during his tenure. Pastor Hellam's produced additional sons and daughters of the church to include Rev. O.L. Robinson, Rev. O.T. Hill, Rev. Jimmy Arnold, Rev. Ronald Peterson, Rev. Sandi Peterson, Rev. Michael Miller, Minister Portia Mansell, Rev. Darrell Sands and many more who went on to pastor churches and to serve God in ministry. Pastor Hellam's legendary leadership paved the way for pastors who follow him to effectively pastor at Mount Emmanuel Missionary Baptist Church and continue the community outreach and service to God's people. Pastor Hellam's tenure ended in 2000 after 32 years of service to Mount Emmanuel Missionary Baptist Church. Rev. 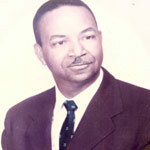 Hellams served as pastor emeritus until his death on January 7, 2011. In September 2000, Rev. A.E. Darrington, Sr. became the 20th pastor of the Mt. 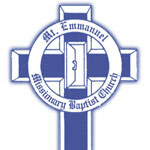 Emmanuel Missionary Baptist Church. During his leadership the church purchased additional properties in the community such as the Little Mountain Cafe, 310 and 313 Spartanburg Street. Minister Thelma Lee and Minister Jennifer Johnson were licensed during his tenure. Rev. Darrington established a ministers training class and also composed the Mt. Emmanuel church welcome song. Rev. 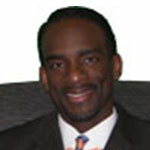 Darrington served as the church pastor until January 25, 2008. On February 28, 2009 Rev. Jermaine Antonio Boyce was elected and June 14, 2009 he was installed as the 21st Pastor of Mount Emmanuel Missionary Baptist Church. Rev. Boyce is currently developing a ministry project to transform mission involvement and outreach in the Greenline-Spartanburg community. On April 4, 2009 the Mt. Emmanuel church leadership hosted Greenville area political leaders such as City Councilwoman Jil Littlejohn, County Councilwoman Xanthene Norris, Representative Chandra Dillard, and School Board member Mrs. Glenda Morrison-Fair to discuss the upcoming mission project and the further improvements of the Greenline-Spartanburg community. Pastor Boyce continues to teach and train the church on the importance of doing missions and outreach both locally and globally in order to exemplify the church motto "The Church for All People."